If the information is at the heart of economic intelligence and institutional power, the data are the essential elements to build knowledge for a decision making that might seem to be optimal in view of the opportunities and knowledge available at a given time. Today, with the explosion of mass data which are characterized by their diversity, their nature and their connections to other objects, Business Intelligence shows its limits. In a context where business competitiveness depends on the use of technology for processing the data to facilitate decision making, Big Data seems to be the right solution. Nowadays, the variety of data sources and the need for fast and real-time processing demand new methods of data storage and analysis. Big Data is a (R) evolution of technologies and decision-support approaches. It precisely allows refining the understanding of the situation and improving decision efficiency through prediction. The adoption of Big Data has profound implications in institutions. It is the organizational structure that is called into question, calling not only for new decision-making approaches but also and especially for new profiles. In the same context, there is a growing interest among institutions of higher education in taking advantage of Big Data to improve student performance, while reducing administrative work load. Higher educational institutions can benchmark their student, professor and curriculum performance against like universities, offering yet new insight into the potential for improvement. Through a qualitative study conducted in 6 universities, we will show how the adoption of Big Data will transform the organizational structure and the decision-making processes within the universities of Lebanon. In order to understand the importance of data storage and data analysis in universities, we are leading a survey about these two concepts. We would be grateful if you can give us 30 (thirty) min of your time to answer the following questions. 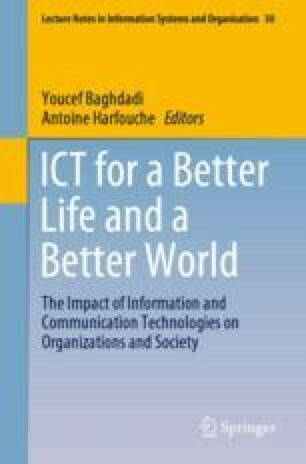 What is the role of information/data nowadays, especially in universities? How do you collect information/data about your students at the university? How do you collect information about other universities in order to rank yourself (Third party data)? How do you manage the storage of those collected information? Who is in charge of collecting data? One person or more? Or a team? What is the place of such person(s)/team within the organizational structure? What software do you use in order to analyse the collected data? Who analyses the data? What position does he (she) hold within the organizational structure? Why do you search for data? And why do you analyse them? What is the purpose of collecting and analysing data? After analysing the data, to whom do you communicate the results? Why this person or group exactly? What is his (their) position within the structure? Who uses information related to data analysis? Which institution or department? After obtaining information about data analysis, what is the next step? Can you describe the decision-making process following the data analysis? Are data collectors different from data analysers who also differ from decision makers? If not, why should they be the same or at least working together? What are the budget and resources allocated to collect, store and analyse data in your institution?